Auguste Lumiere (born in Besançon, France) was a famous Director from France, who lived between October 5, 1864 and June 6, 1948. He became 83 years old. 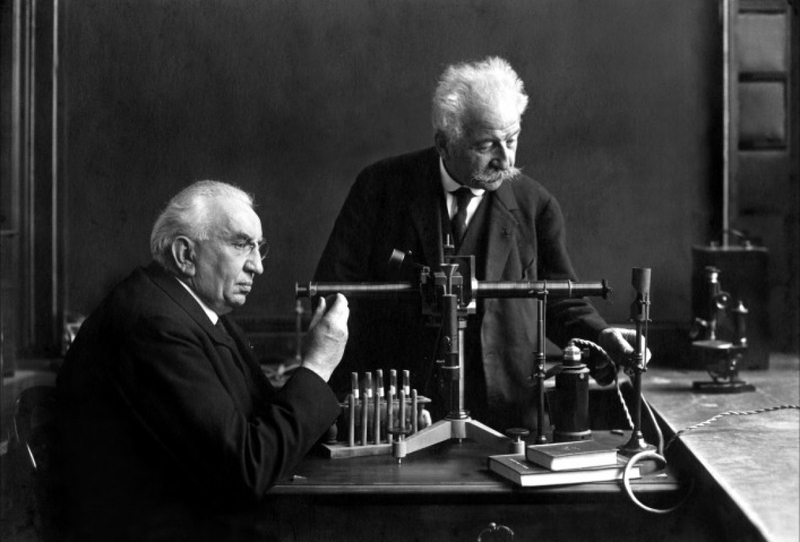 The brothers Auguste Marie Louis Nicolas (born 19 October 1862, died April 10, 1954) and Louis Lumière (born 5 October 1864, died June 6, 1948) were two French inventors and scientists. They are especially known for the world's first film projector, known as Cinemas, which was demonstrated in 1895. They also undertook crucial experiments in color photography and developed auto chrome method. Lumière brothers were born in the French city of Besançon and grew up in Lyon where the family moved in 1870. His father, Antoine, was a painter and photographer, and established a studio in Lyon. Both brothers began working for his father, and family business grew. In 1894 it comprised a factory with 300 employees who produced photographic plates. The brothers Lumière were challenged by his father to create a device that combined live images with the projection. 13. February 1894 they received a patent for a combination movie camera and projector, and 22 March the following year they arranged a private movie viewing. The first show for a paying audience took place on 28 December in Paris, at the Grand Cafe in Boulevard des Capucines. The brothers believed that their invention had no future, but nevertheless founded the most famous photographic company in France and continued to experiment with film the rest of his life, including widescreen and color film. They have received their star on the Hollywood Walk of Fame. He is born under the zodiac libra, who is known for Balance, Justice, Truth, Beauty, Perfection. Our collection contains 1 quotes who is written / told by Auguste. "My invention, (the motion picture camera), can be exploited... as a scientific curiosity, but apart from that it has no commercial value whatsoever"